Eunhae is nine years old when she bids a tearful farewell to her father, who leaves their home in South Korea in search of a better life in America for his family. As her Appa tries to comfort her with his parting words, "Love will etch our faces in each other's hearts. We won't forget," Eunhae can't shake the icy fear that overwhelms her. 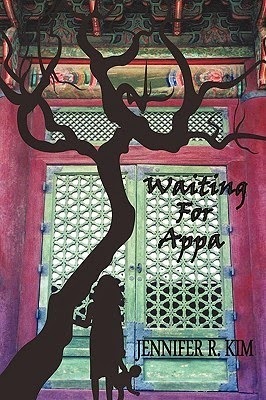 Two years later, when Eunhae and her mother immigrate to America to reunite with her father, they are greeted at San Francisco International Airport with horrific news-Appa is near death-the unfortunate victim of a job site accident. Much to her dismay, Eunhae's father eventually dies and she and her mother are left alone in the world. As they experience cruelty at the hands of relatives, they also find reassurance in the kindness of strangers, but Eunhae is changed forever by the devastating loss. Twenty years later, Eunhae still lives her life clinging to the memories of her father and a life denied, shutting out all those who love her. Troubled by the shame and hostility surrounding her father's death, she goes in search of answers and uncovers far more than she ever expected. I was excited to read this book. I managed to pick it up for free by signing up for a free trial of Kindle Unlimited on Amazon. Reaching 200 pages in length, it took me two days to read this book. Although it saddens me to say it, in my opinion there were probably more negative points than positive points when it comes to Waiting for Appa. Now, having never lost a parent before, I can't even imagine the grief and anguish one must feel at the death of a parent. It's for this reason that deciding whether the book is good or not is hard for me. It certainly dealt with how the death of her Father affected Eunhae, and in great detail. It affected all of her relationships from that point onwards and affected the development of her personality. But there were a couple of flaws about this book that stopped me from really enjoying it. Eunhae's character. When Eunhae was a little girl and her Father had just died, I really really felt for her. I empathised with the little girl who had lost her Father so much. She was so cute and devastated that my heart truly did reach out to her. However, as Eunhae turned in to an adult and a teenager, this completely changed and Eunhae didn't seem like a very nice person. Take her encounters with Dave for example, she never actually seemed to want him around. Most of her encounters with Dave always seemed to end in an argument, or her taking out whatever frustrations she had on him. I can only assume that all the other times they had the most fun and games and laughter, otherwise I don't know how their friendship lasted so long. As a result, I could never fully engage with Eunhae as an adult, her dialogue always seemed to be full of frustration or the essence of feeling misunderstood. Characters. On a whole the characters (apart from Eunhae's Mother) seemed quite flat and lacked personality. Dave seemed to be put on the earth completely to serve Eunhae. I never really understood Robert. It was only Eunhae's Mother I could really empathise with. She tried her up-most best to provide for her daughter and make sure she didn't have to go without what the other kids had. I probably liked her so much because she reminds me of my Mother. Time. In just 200 pages, it's hard to talk about someone's childhood and adult life in adequate detail. Although I know this book focused on how the death of her Father affected her, time skipped to frequently in this book. Especially during her teenage years, there were perhaps three chapters on her university years? And most of them featured her and Dave arguing, from what I can remember. To be honest my main problem with this book is that it basically stayed the same. From when her Father died, Eunhae couldn't let go of him, wouldn't let go of his ashes, resented her Mother for maybe catching feelings for someone else, thought of her Father all the time. More than twenty years later and Eunhae is still exactly the same. And then all of a sudden she was able to let go of his ashes. And then it was only when she found out a revelation about him was she able to move on with her life. I don't know maybe if there had been a more gradual realisation that Eunhae had to eventually move on with her life, and not just because she discovers something about her father, maybe if time had moved more slowly and the author hadn't tried to cover so much of Eunhae's life, and maybe if the characters were a bit more realistic, I could have very much enjoyed this book more. As it stands, it was a quick little read and it's most strongest point was that it made me think how utterly terrible it would feel to lose my Mother.